An enigmatic and intensely private man, Alfred Mica Smith retired from SMB in 1922 after an association of 41 years and aged 78 years. Perry's history of the School of Mines contains a chapter on Smith, who began his lecturing career in Bendigo around 1876. Answering an advertisement for the position of Professor of Chemistry and Metallurgy he moved to Ballarat in 1881 and began at SMB. At the August meeting of the SMB Council in 1881 it was resolved that 'Alfred Mica Smith Esq., B.Sc., be appointed Professor in Chemistry and Metallurgy and be Superintendent of the Laboratories, for the period of twelve months at a stipend of five hundred pounds per annum, and to commence duty as soon as possible'. (signed: James Oddie, Vice-President) Smith played a major role in the years of 1887-1893 when SMB was affiliated with Melbourne University. In 1912 he became Professor of Metallurgy and received an annual salary of 250 pounds. Alfred Mica Smith presented many scholarly papers, gave evidence at government enquiries into the safety of mines and became an authority on mine safety and ventilation. He was on the Mines Ventilation Board. Professor Smith was the public analyst for the City of Ballarat and Town of Ballarat East, as well as to a number of other boroughs and shires. He was also Chief juror to the Adelaide International Exhibition, chemical section. 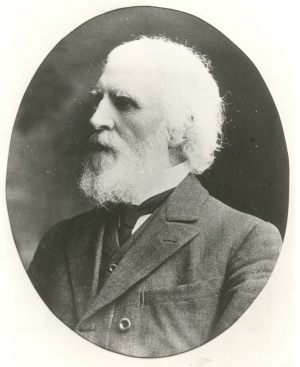 He provided information to the Royal Commission on gold mining (1889, 1891), and was President to the chemistry section of Australian Association for the Advancement of Science, Associate of American and Australasian Institute of Mining Engineering, Member of the Science Faculty Melbourne University, and Hon. Life Member of the Miner Managers' Association of Australia. He also was involved in many educational and community affairs such as President of the SMB Students' Association, President of the Ballarat Science Society, first President of the Ballarat Camera Club, Vice President of the Field Naturalists' Club, and he presented Ballaarat Fine Art Gallery with his collection of paintings and porcelain ware. Born in Perth, Scotland on 21 September 1844, Mica Smith was educated at Perth Academy, and universities in Manchester and London, gaining a Bachelor of Science degree in 1867 from the University of London, and obtaining honours in Chemistry. He emigrated to Australia in December 1873 on the Ben Crauchan. He then was employed for some time at the assay department of Melbourne Mint before proceeding to Ballarat and then Bendigo. Appointed chief officer of the Bendigo School of Mines, he lectured in metallurgy, assaying, and physics for around five years before returning to Ballarat and his lecturing post at SMB which he held for the rest of his public life. 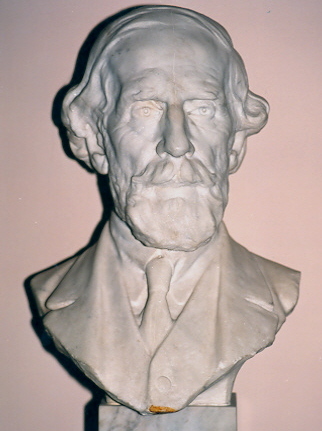 His legacies include the mutual regard between him and his students, the many tributes by former students, the Mica Smith scholarship (established in 1923) and now known as the Corbould-Mica Smith Travelling Scholarship, his portrait in oils by noted artist Max Meldrum, and the marble bust of Smith sculptured by Paul Montford. Money for a scholarship in sanitary science at the University of Manchester in the name of his uncle R. A. Smith was left being set up in 1928. Smith died of cancer on 14 May 1926 and his remains, cremated at Springvale, were interred in the Ballaarat New Cemetery.